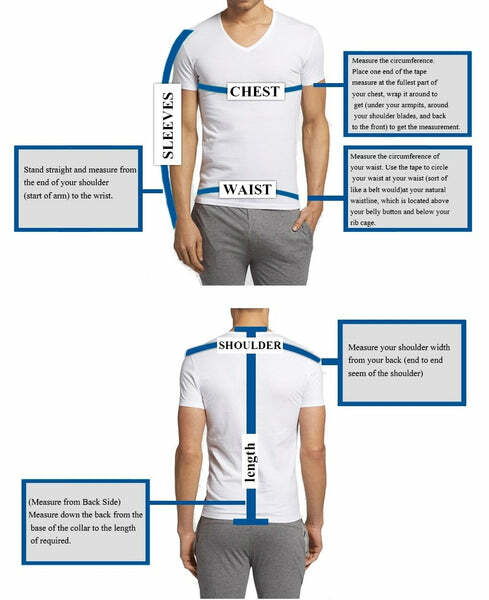 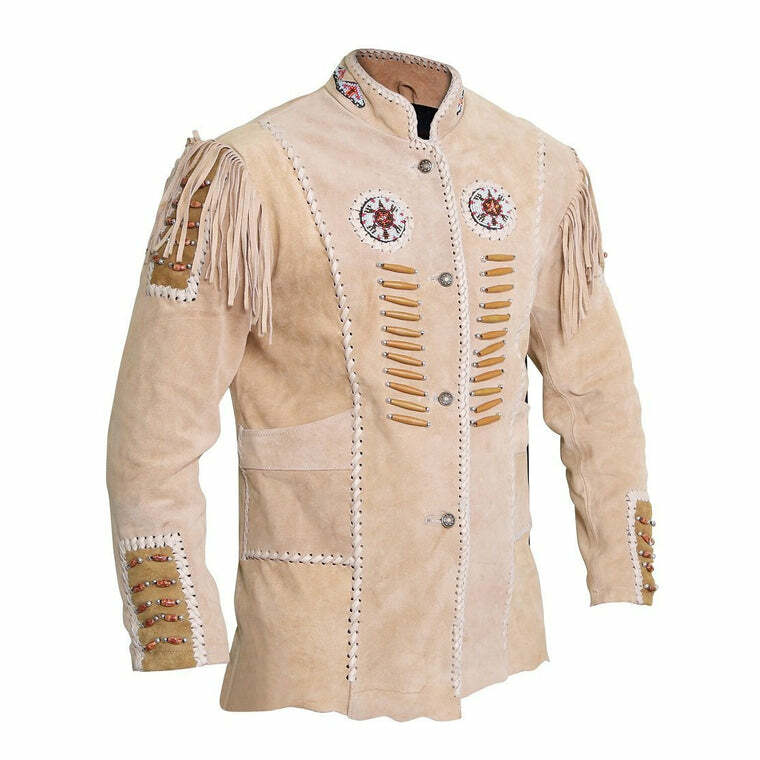 Do you have the confidence to walk out in style? 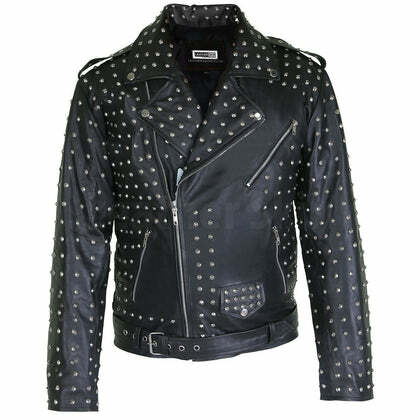 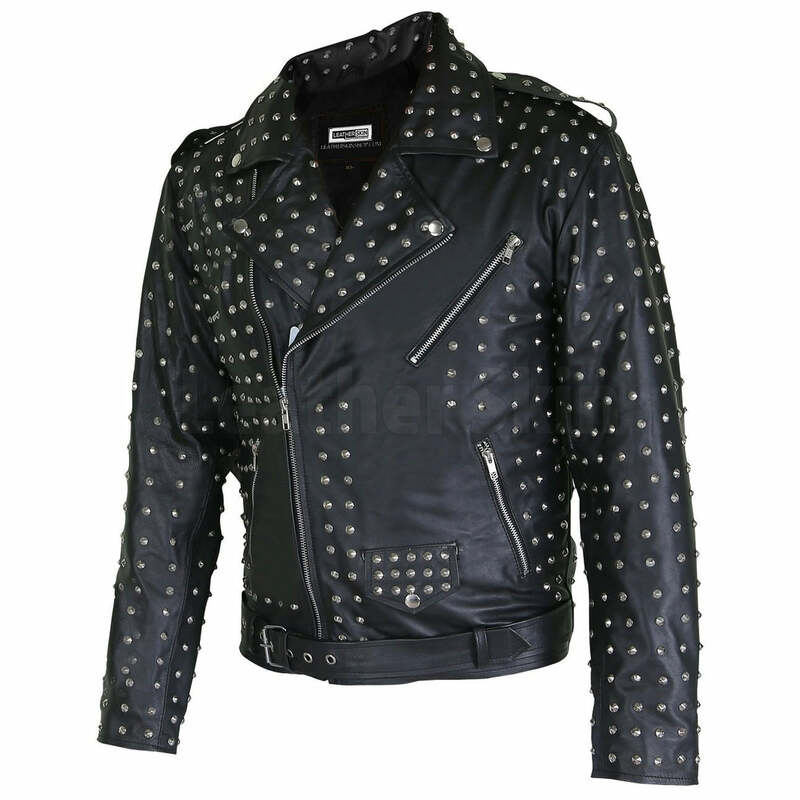 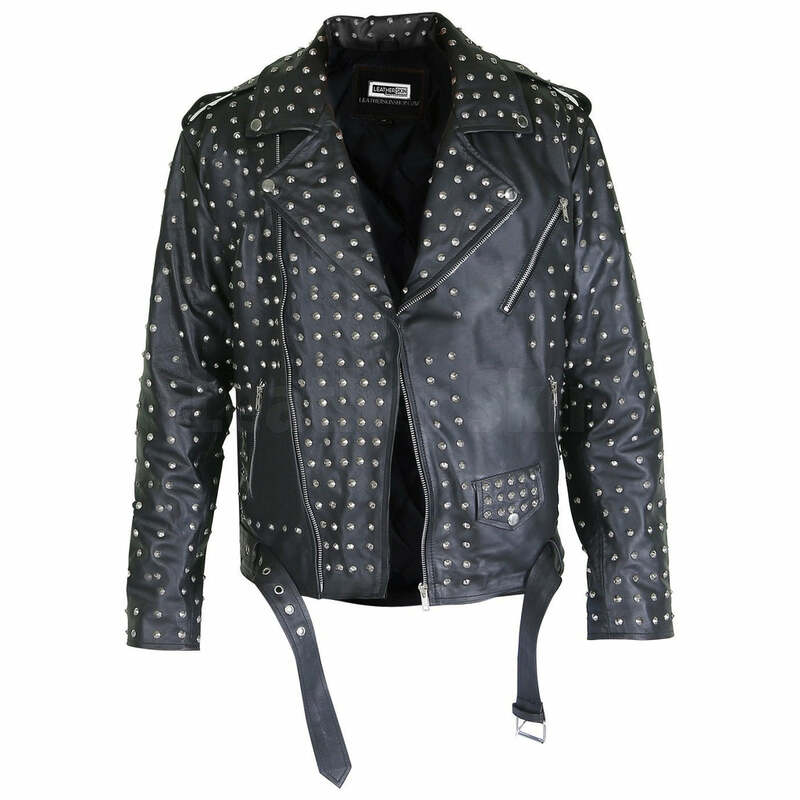 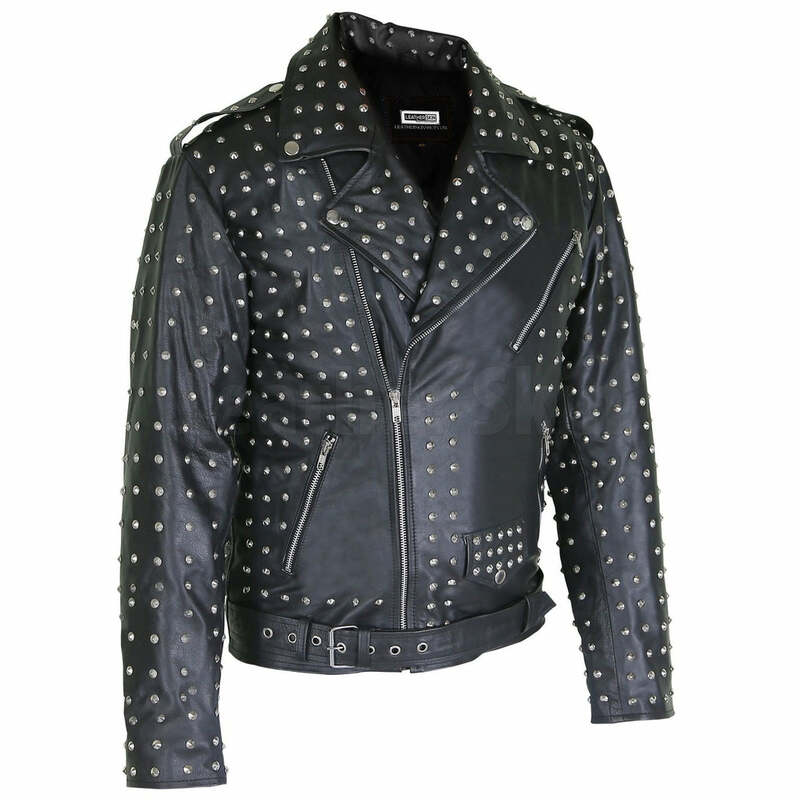 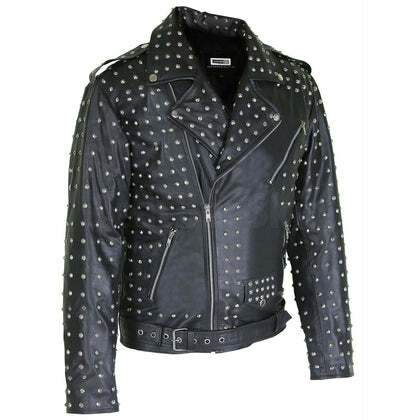 This Marlon Brando leather jacket is decorated with silver cone spike studs. 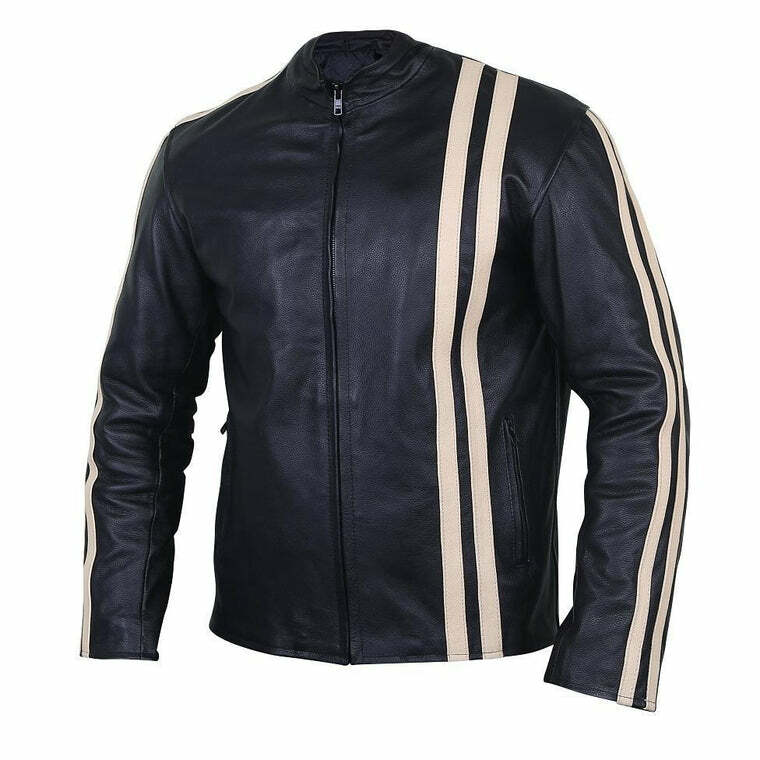 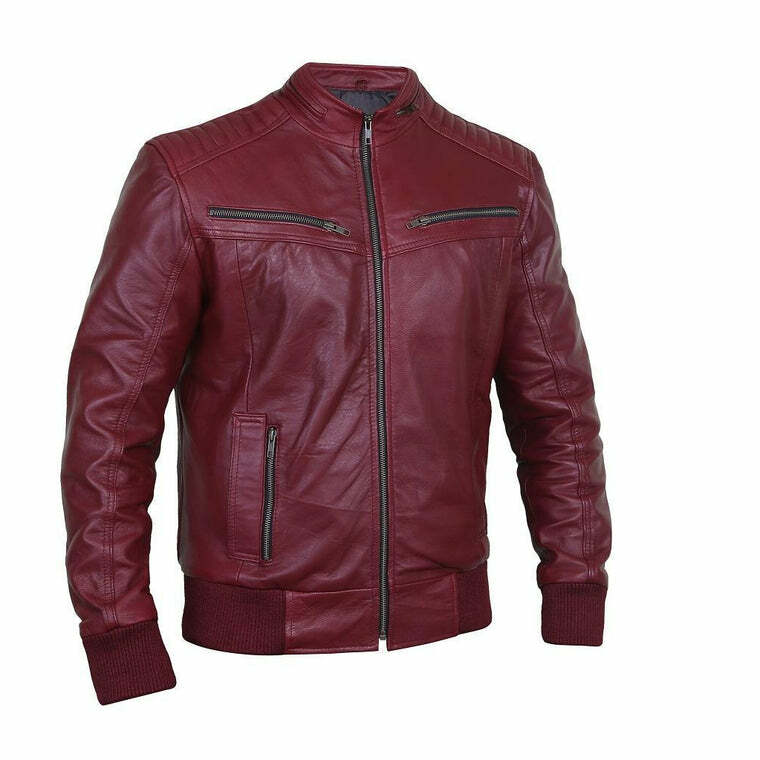 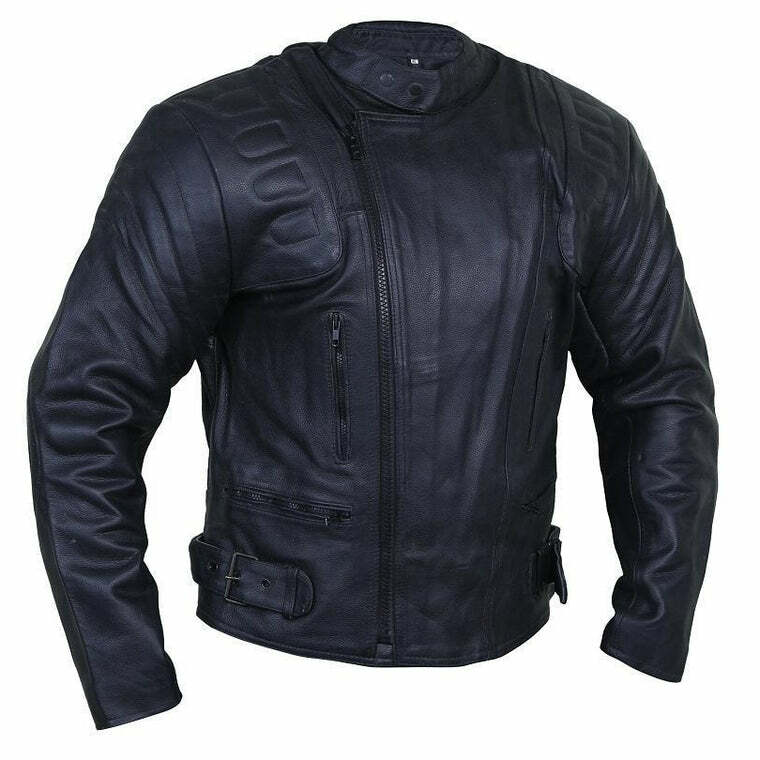 Made from the highest quality genuine cow leather, this outerwear is a must for every guy’s closet.